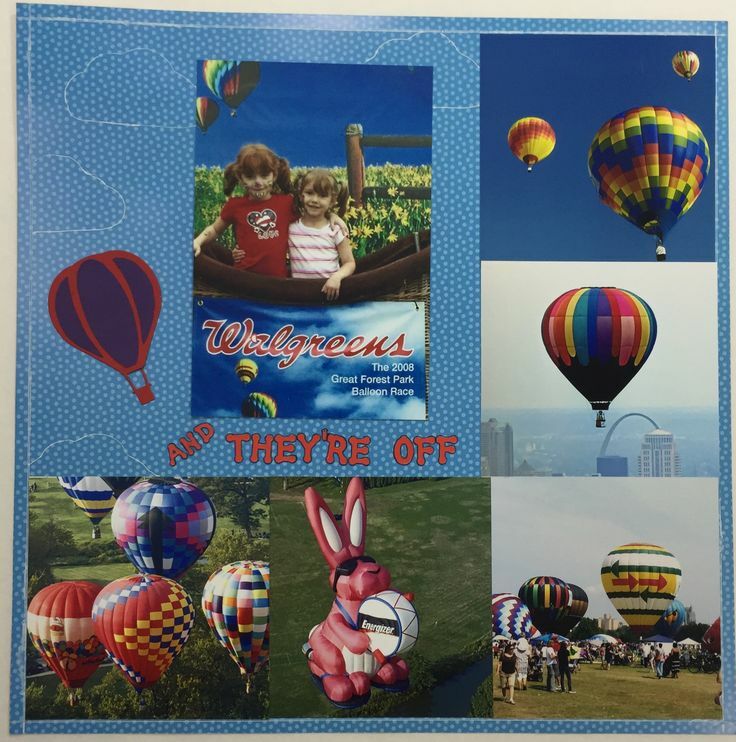 The Great Forest Park Balloon Race is an annual event my family and I love attending. We arrive early and spend the whole day hanging out, enjoying the festivities and waiting for the balloon launch. This is a page of my girls playing in the sand during our vacation to Fort Myers Beach Florida a few years ago. I used Shimelle True Stories 12 x 12 paper pad from American Crafts for the polka dot papers. The two flags were also from a page of the pad filled with phrase that I cut apart. The stickers came from Dollar Tree. 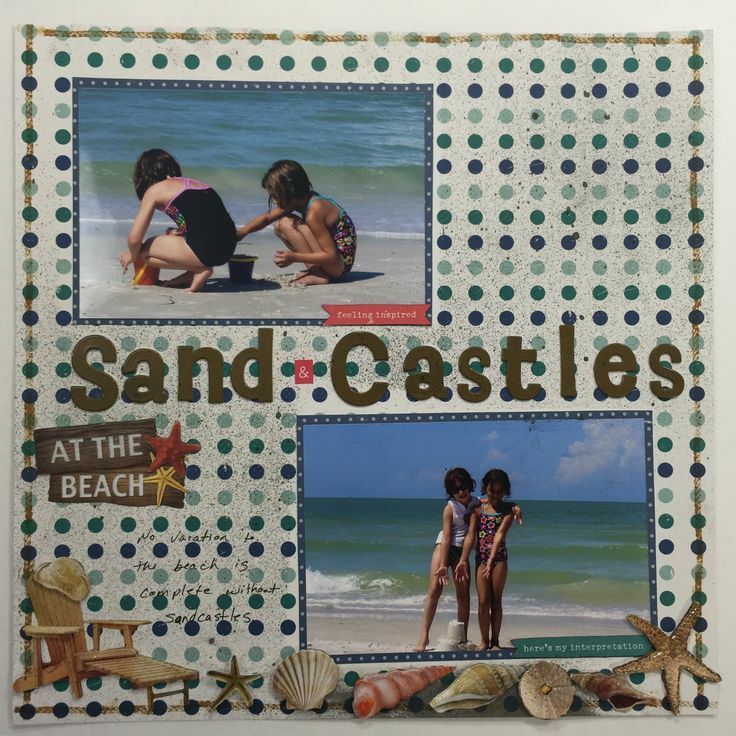 I spelled sandcastle as two words on the title so I added the pink & sticker and I really like how it turned out. I wanted to give the paper more of a sandy feel so I sprayed it with some Heidi Swapp Color Shine Bronzer. I touched the bronzer on the bottom of the page before it was dry and ended up smearing it so I added the seashell stickers across the bottom to hide the mistake. I also stamped a rope stamp around the edge of the paper to add to the nautical theme. As soon as I saw the sketch I thought about the washi tape I had just purchased from Dollar Tree. I missed the deadline to submit these cards, but I still enjoyed making them. 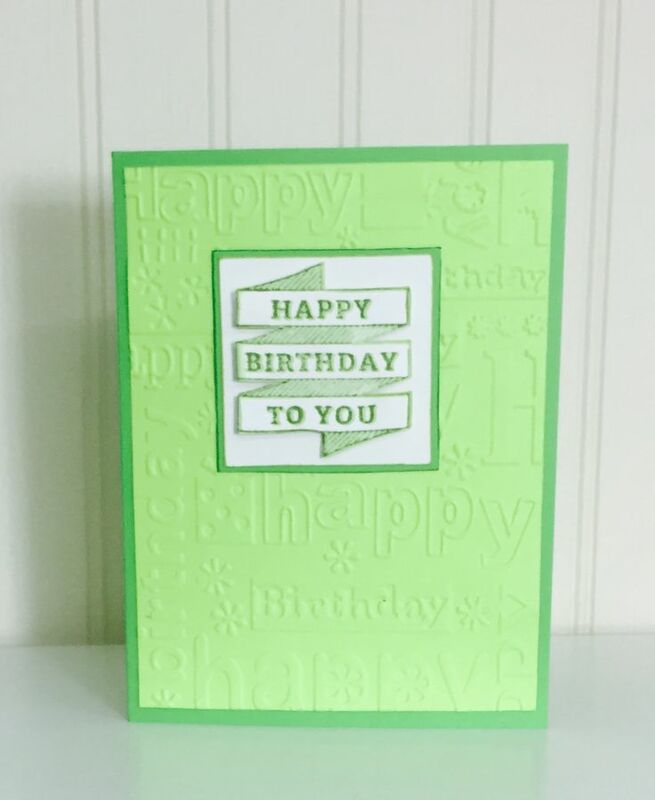 This bright green card is for another one of my nieces who also has a birthday in September. Can you guess what her favorite color is? This is another Pinterest inspired card. I searched green birthday card and one similar to this came up. I love the tone on tone with the bright white for the sentiment. 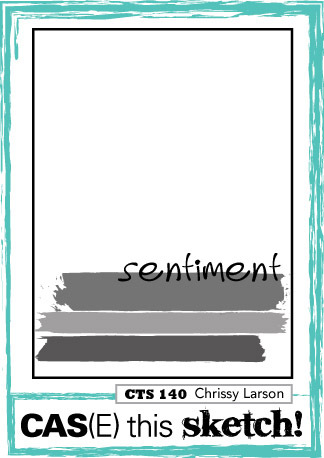 At first I stamped the sentiment straight onto the white center piece, but the card seemed too flat so I stamped it again on another white piece of paper using a slightly darker ink and then cut out the sentiment ribbon image. 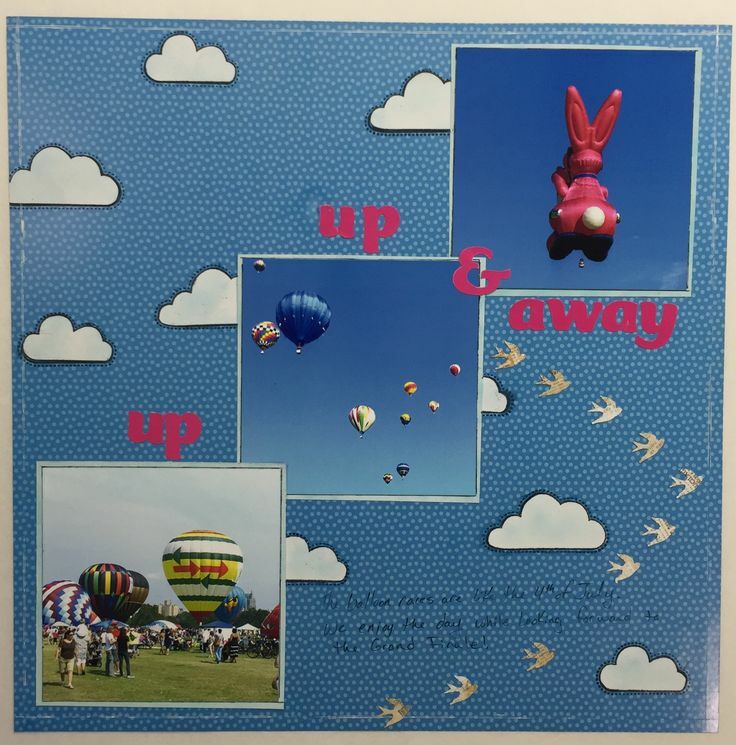 I attached sentiment image to the card with foam adhesive to give the card more dimension. 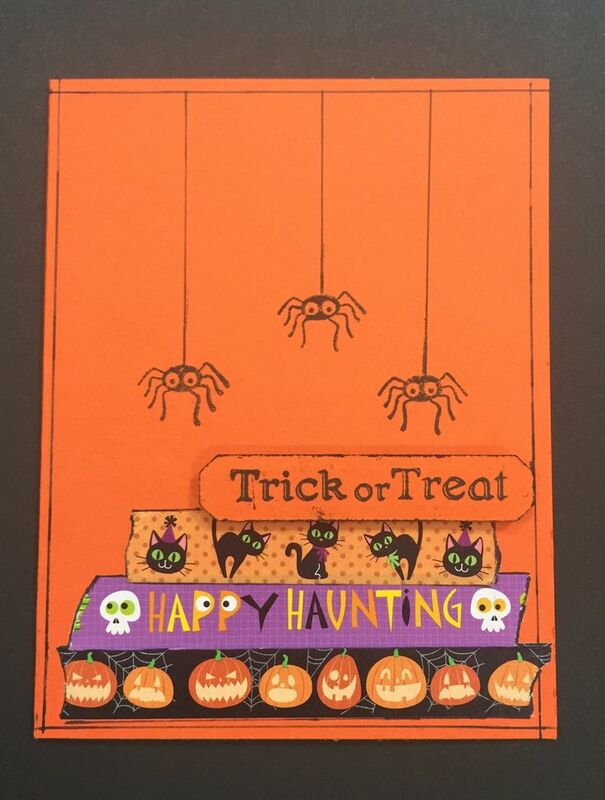 This clean and simple card was quick and easy to make. September is a busy birthday month for my family and that means I get to make lots of birthday cards! I love making a card or gift with a specific person in mind because it helps me focus on that person. Thinking about who they are and the things they like helps me choose what to use as I look through my supplies. 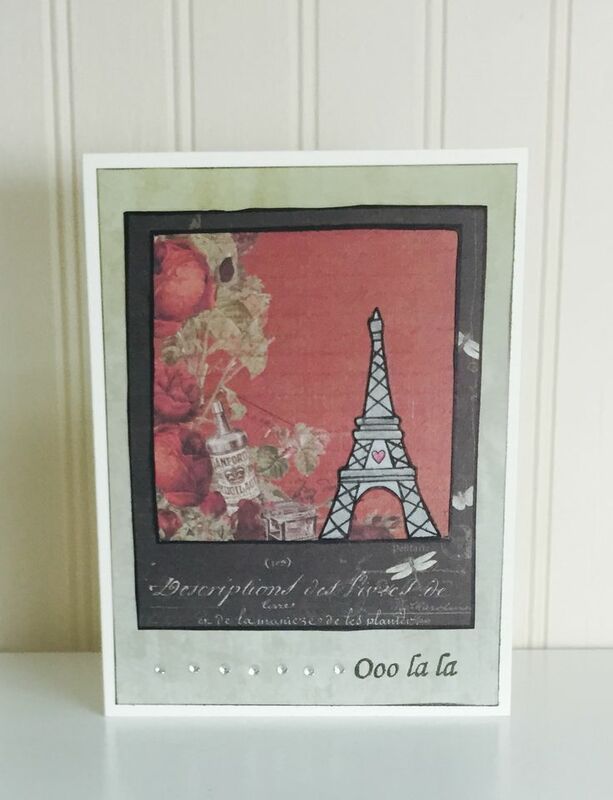 I made this Ooh la la Eiffel Tower card for a niece who’s into all things Paris. I had a cream colored paper with French script on it picked out when I started the card, but didn’t end up using it. Also after I finished filming making the card I went back and outlined the Eiffel Tower and added some color with gray colored pencils for the tower and pink for the little hear in the center. For the Polaroid picture outline I could have used a rectangle and a square die cut, but I had the Fiskars “Say Cheese” clear stamp set handy so that’s what I used. Fiskars “Say Cheese’ clear stamp set. 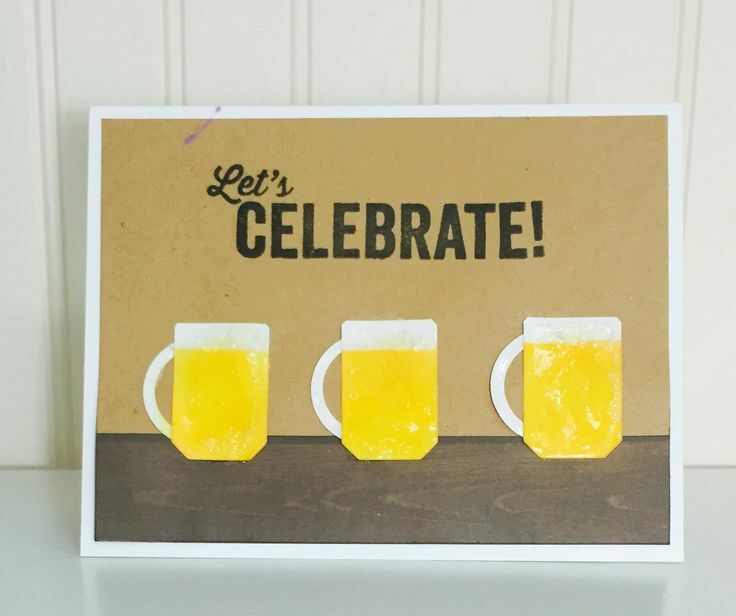 I was looking on Pinterest for retirement cards and I saw a beer mug card that inspired me to make this “Let’s Celebrate” beer mug card for my father-in-law who will be retiring this month. so I made this one to replace it and ended up liking the gray stone background so much more. Also on the second card I made the mugs, colored them and applied the glossy accents before adhering the mugs to the card. To make the beer mugs I used a ticket shaped die cut, but you can also cut a rectangle and trim the edges for the mug shape. 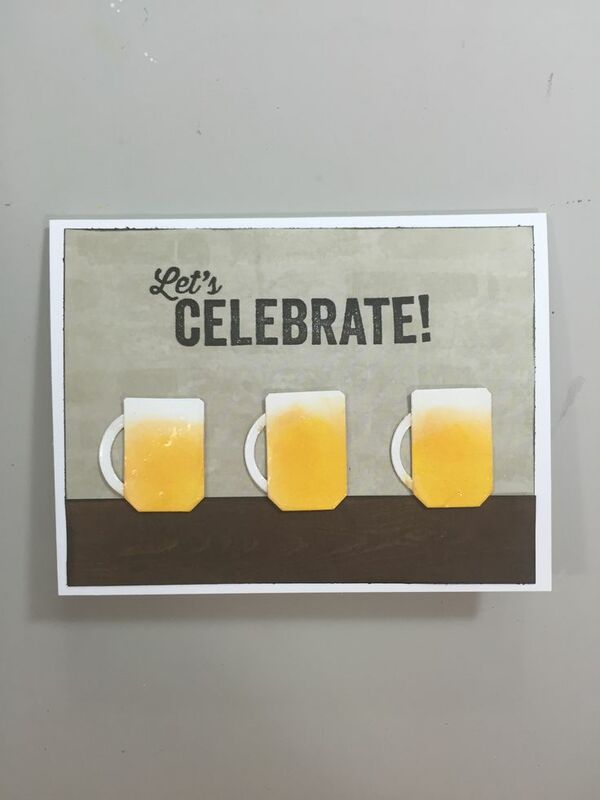 Below is the video of making the “Let’s Celebrate” card with the craft paper background. When I’m crafting I often like to listen to an audio book, but lately I’ve been listening to podcasts. Podcasting has been around for awhile, but I started listening about 6 weeks ago after I saw something about The Scrap Gals podcast. I don’t remember exactly how I came to know about their podcast(it was probably pinterest), but I’m grateful for whoever shared the information and thought I ‘d also share so that it might lead someone else to listen and enjoy. The Scrap Gals are Tracie Claiborne and Tiffany Lowder and they make me laugh out loud every time I listen. Tracie and Tiffany talk about a variety of scrapbooking and crafting topics like how to stay inspired, journaling in scrapbooking, photography, products they like or don’t like and sometimes they have a guest or focus on a particular person. I love that they are different from each other in their approach to scrapbooking and life because it reinforces that there’s more than one way to do something giving everyone the freedom to find their own way. Another podcast I really enjoy is Elise Gets Crafty. Elise’s podcast focus more on small business, motivation and goal- setting. I love the variety of topics she covers in the area of small business and creativity and I also love her many guests and hearing their views on the different subjects. Listening to Elise really motivates me to do more with my own small business. I hope you listen and enjoy these ladies and their podcasts as much as I do. 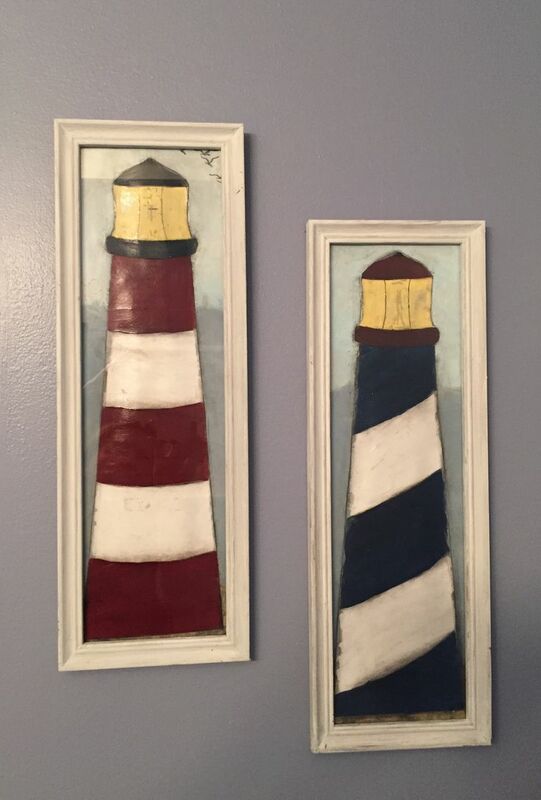 We recently re-painted our guest bathroom and I created these two lighthouses to hang on the wall. I bought the picture frames at the Goodwill store for $1.00 each. They were gold, but I repainted them white and lightly sanded over the white paint. I painted the backgrounds and the lighthouses with acrylic paints and painted glossy Modge Podge over the lighthouses to give them some shine. To make the lighthouses I looked on Pinterest to see examples of lighthouses and then drew a couple onto white poster board and cut them out. My poster board wasn’t long enough to do the whole lighthouse so I drew and cut out the tops separately. After painting the lighthouses I attached them to the background pieces with double sided tape and couple of layers of foam adhesive up the middle of the lighthouse so they would stick out slightly and give them a rounded appearance. I also stamped a couple of seagulls in the top corner of the red lighthouse picture. 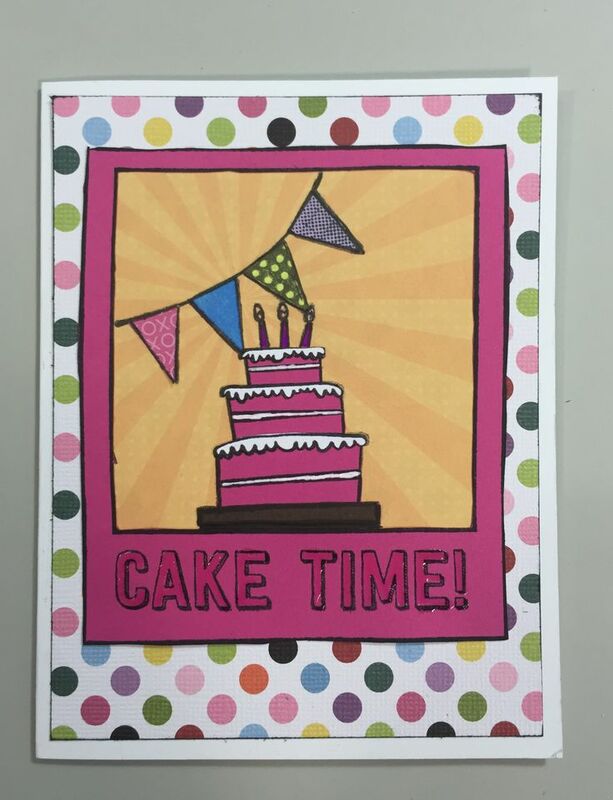 The inspiration for the “Cake Time” card came from making the video for the DIY version of the StampeRor. 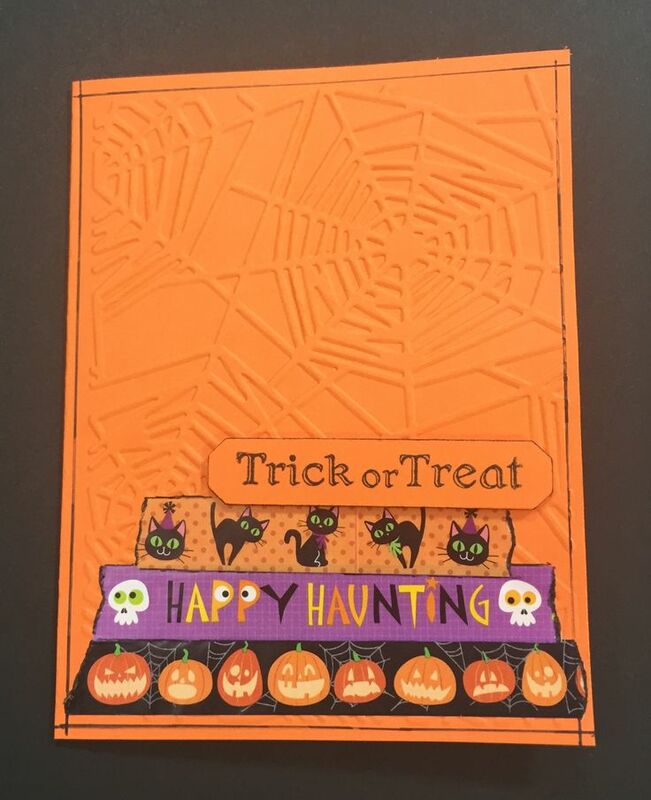 I love how the image came together with stamps I used in the video and I wanted use them again to make this card. I thought about using die cut letters to spell out CAKE TIME so the words stand out a little more, but ended up using glossy accents over the letters instead. I also put glossy accents on the white frosting bits and the candle flames.